I got a lovely email during Summer 2015 while I was in Bosnia, from a company called Happiness Boutique - a jewelry brand based in Berlin, Germany. They asked if I would like to review one of their statement necklaces, so I selected one of the more simple ones - which was a gold chain with two interlinking rings. 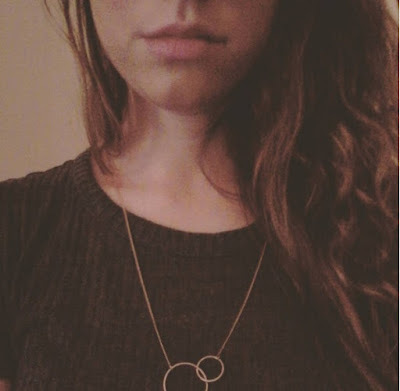 I am not usually really a jewelry person, but I found myself wearing this simple necklace rather often! Here are some pictures - the packaging was really cute and cool!